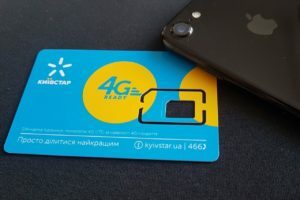 Kyivstar, the leading Ukrainian mobile communications operator, plans to invest in the development of 4G (LTE) standard by 18-20% more in 2019 compared with 2018, Kyivstar President Alexander Komarov has said. In 2018, capital expenses of the company totaled UAH 3.1 billion. “In 2018, we increased investment in LTE by 18%. In 2019 and 2020, we are planning to maintain the same growth pace and even more – up to 20%,” he told reporters in Kyiv on Thursday. Komarov said that Kyivstar, like other mobile operators that have purchased 3G and 4G licenses at tenders, are now in the middle of the investment cycle for implementing these communication standards. “For a few more years, we will actively invest in comparative amounts in LTE, about UAH 3 billion a year,” the president of the largest operator said. Komarov also expressed the opinion that the possible implementation of the 5G communication standard in the Ukrainian market is still premature, since it is ahead of the market needs and the willingness of market players to invest. 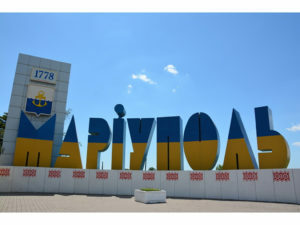 At the same time, he said that Kyivstar intends to invest annually about UAH 100 million of its own funds in new promising business areas, among which he called FinTech, Internet of Things (IoT), cloud solutions and technologies, big data. According to him, the goal is to bring the share of this new income of the total income of Kyivstar over three years to 10%. The president of the company said that the search for optimal forms of cooperation with possible partners in these areas is currently underway. 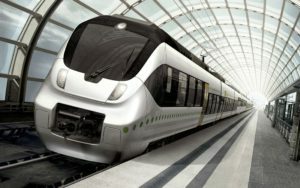 First Deputy Kharkiv Mayor Ihor Terekhov and Head of Representative Office of Hyundai Corporation in Ukraine Jeong Ilryoung have discussed a possibility of the company’s participation in some infrastructure projects being implemented in the city, in particular, in a tender to build subway and procurement of rolling stock for subway. “Our company has extensive experience in such projects in different countries, including those that used the same subway characteristics as in Kharkiv. We do turnkey work. We install our system and rolling stock. We work with the government of South Korea, therefore, would like to continue our cooperation at the government level in financing other urban projects,” the press service of the Kharkiv City Council reported, citing Jeong Ilryoung. Terekhov said that Kharkiv provides absolutely equal conditions for all bidders and is interested in cooperation if Hyundai Corporation wins the tender. He also said that, according to the technical conditions of the tender for procurement of rolling stock, it should be a new generation of energy-saving trains equipped with asynchronous engines. In addition, the first deputy mayor of Kharkiv and the head of the Hyundai Corporation in Ukraine discussed possible cooperation in the development of ground-based urban electric transport. “We discussed the possibility of attracting grant money from the Korean government to maintain rolling stock with the subsequent development of a project to upgrade the tram fleet. However, I will emphasize that this should be a comprehensive solution – we need not only to buy new trains, but we also need to update the tram tracks. For example, first, you need to repair certain routes, and after that put new trams on them,” Terekhov said. The International Finance Corporation (IFC), part of the World Bank Group, has signed a loan agreement on providing financing in the amount of EUR 12.5 million to buy 64 large buses, the press service of the Finance Ministry has reported. According to the press release, the funds are also sent to the reconstruction of the city bus depot, the renovation of repair equipment and the development of the city’s transport infrastructure management. The project will increase the capacity of public transport in the city and reduce hydrocarbon emissions into the atmosphere. “Since 2014, decentralization is one of the key priorities of the government, and we have already transferred many financial resources to municipalities, and with them responsibility. Therefore, it is extremely important for us that international partners support this approach with financial resources. IFC investments in Mariupol infrastructure, 30 km from the front line is the best proof of our partners’ confidence in Ukraine. We hope that the financing of municipalities will become one of the important activities of the IFC in the future. We would be very grateful if IFC could become the first IFI [international financial institution] that provides such funding in hryvnia, and the Ministry of Finance is ready to support this idea,” the press service of the ministry reported, citing Deputy Minister for European Integration Yuriy Heletei. As reported, referring to IFC, the loan will amount to 14% of the city’s projected multi-sectoral capital investment program of $90 million in 2019-2010. IFC, a member of the World Bank Group, is a large international investor focused on the private sector in Ukraine. The total amount of its investment in long-term projects in various economic sectors of Ukraine has reached over $3.2 billion. Bayadera Group, a large alcohol producing holding in the Ukrainian market, this year seeks to invest UAH 80-100 million in planting new vineyards and modernization of plants. “In 2019, we are planning to invest UAH 80-100 million, first of all, in vineyards and modernization of plants. This will improve the quality, reduce the cost of production and increase efficiency,” Director General of Bayadera Group Anatoliy Korchynsky said in an interview with Interfax-Ukraine. In particular, in 2019 the group intends to plant about 200 hectares in Mykolaiv region. According to the director general, Bayadera Group is considering the transition from the wine cork to the screw cap. “Considering the global problem with cork, everyone will come to this in the next few years. In Europe this is already a reality, but in Ukraine the buyer still does not understand it. However, we are already preparing for the changeover of production,” Korchynsky said. The group also conducts several experiments in terms of sales performance. “If they are successful, this will also require certain investments,” Korchynsky said. In 2018, Bayadera Group invested about UAH 80 million: some UAH 35 million in the agricultural sector, UAH 20 million – in plants, and near UAH 25 million – in distribution. 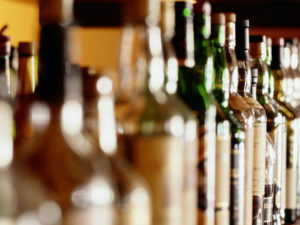 In general, the alcohol holding has several areas of investment: agriculture, modernization and renewal of production facilities, as well as distribution. Bayadera Group was established in 1991. Its owners are Natalia Bondareva and Sviatoslav Nechytailo. The company owns such assets in the alcohol industry as distribution companies and alcohol production facilities in Ukraine and Belarus. It produces wine, vermouth and cognac and is the exclusive importer of international alcohol brands in Ukraine. The main trademarks are Persha Gildiya, Kozatska Rada, Hlibny Dar, Koblevo, Marengo, and others. 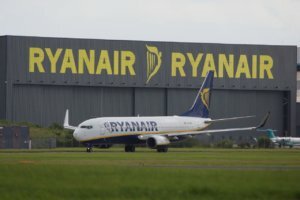 Ireland’s low cost airline Ryanair is considering Ukraine as the top three promising countries for development of an IT hub in 2019, Ryanair Chief Commercial Officer David O’Brien said at a press conference in the Infrastructure Ministry of Ukrainey. The airline’s engineer is visiting several cities of Ukraine, he said. The airline is mulling a possibility of opening the IT center in Ukraine in the future, and when reaching the critical mass for flights we would consider a possibility of opening the plane maintenance facilities in the country, he said. O’Brien said that the negotiations are being held with airports of Odesa, Kherson and Kharkiv. He said that Ryanair is discussing a possibility of launching flights from regional airports of Ukraine, but the issue could be solved in several years. “We will receive 40 or 50 planes in winter 2019 and then we will talk about new cities in Ukraine,” he said. Earlier, at a meeting with Ukrainian President Petro Poroshenko, O’Brien said that the result of the previous meeting with the head of state was the introduction of the position of Chief Technology Officer by Ryanair together with the software lab. He expressed hope that the fourth office of this lab will be established in Ukraine. As reported, Ryanair plans to invest $1.5 billion in Ukraine by 2023, expanding the fleet to 15 planes. Ryanair offers flights from Kyiv to six cities in Poland, one destination in Germany, Spain, Lithuania, Slovakia, the U.K. and Sweden, as well as two destinations from Lviv to Germany and Poland, one to the U.K. 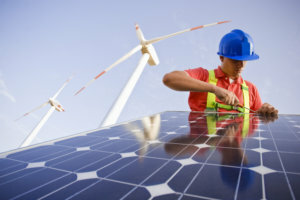 The European Bank for Reconstruction and Development (EBRD) is about to invest from $2 million to $4 million in the development of infrastructure of auctions stimulating renewable energy, EBRD Deputy Director in Ukraine Marina Petrov said during her interview to the Reform.Energy website. “This is the money that we are already asking for now from the donors in order to launch a high-quality auction,” she said. She explained that market players might not be able to perceive poorly organized auctions. “This is very important to keep up the balance of interests in order to receive the most outstanding result,” Petrov said. The auctions will have to be transparent, understandable and in line with legislation. According to her, the EBRD during Ukraine’s transition to the auctions stimulating renewable energy is ready to share its experience from similar auctions in those countries which were the first ones to introduce such tools. Such or similar auctions are held in Turkey, Poland, Bulgaria, Jordan, Egypt, and Armenia, she said. The amount is to be allocated within the EBRD’s USELF-III lending facility approved in July this year in the amount of EUR 250 million to support private renewable energy projects in Ukraine, she said. Speaking at the Ukrainian Financial Forum organized by the ICU Invest Group in Odesa, the EBRD representative said that market operators had questions as for who would be a balancing player on this market. She said that the EBRD was working jointly with the U.S. Agency for International Development to create the market of balancing facilities and invest the funds in more mobile parts of the system, e.g. batteries, gas turbines. “This is next year’s agenda,” Petrov said. In general, she described the situation on the renewables market as a “quick sprint” – the investment is to be made while the current feed-in tariffs are in effect. “We’ve got many investors who are mulling over investment this and next year. We have fewer investors who are preparing projects for 2020-2021. We see there will be a steep decline,” she said. In this connection, she called on the adoption of a law on renewable energy auctions by the end of the current year. Ukraine has great potential for the development of other sectors of renewable energy, mainly biofuel and small hydro facilities, she said.